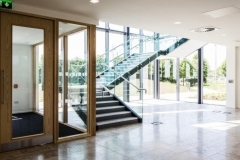 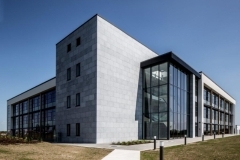 This new advanced office building is the fifth building in the Parkmore East Cluster, Stewart Construction have previously completed blocks 1-4 valued at approx €25m which also included fast track fit outs for the high calibre occupants. 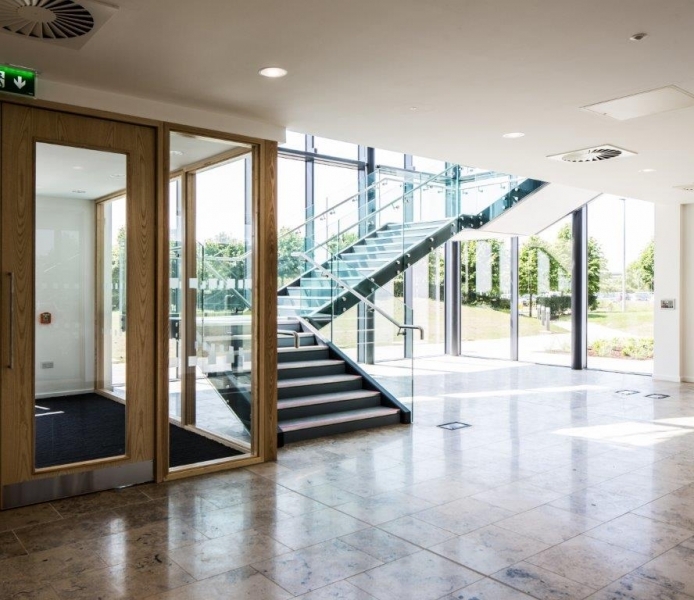 Block 5 is a 3-storey office building (45,000sq ft) with a roof level plant room and an adjacent, separate single storey building containing storage areas for refuse, bicycles and an ESB substation and switch room. 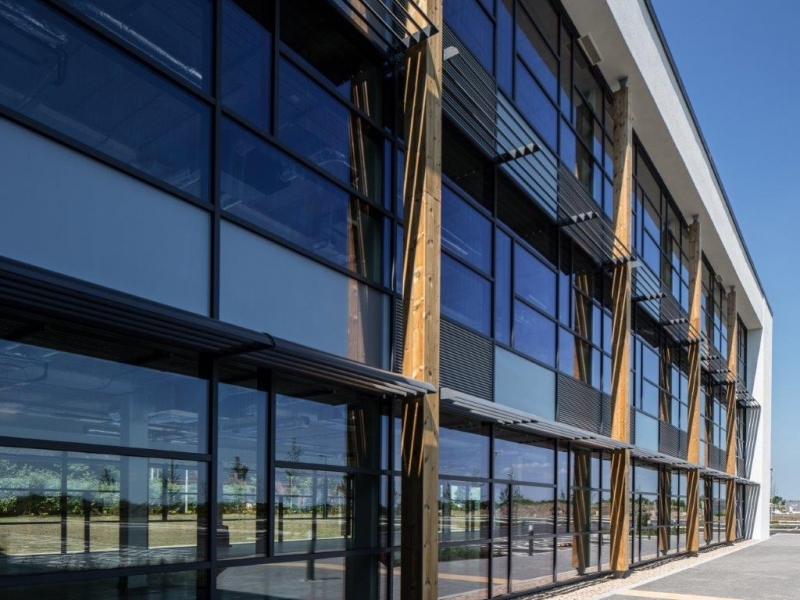 The building takes the form of a three storey ‘L’ shaped structure. 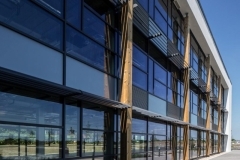 The development has achieved a LEED ‘Gold’ Shell & Core energy performance standard.